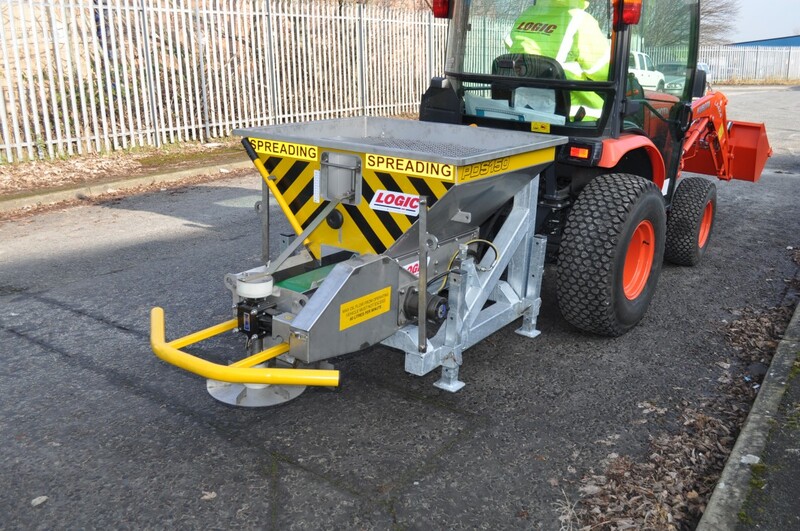 Since its launch in the late 1990s the Logic GDS Salt Spreader has proved to be an invaluable winter maintenance tool for many different customers in a huge variety of industry and municipal sectors. Through its specific design for the UK market, it provides a reliable and efficient method of application. In short, as testified by many satisfied customers, it works! One of the major benefits of the GDS model is that it can be towed behind any suitable towing vehicle, including 4x4s, pick-ups, UTVs or tractors. This makes it very quick to deploy at the first signs of bad weather and for winter gritting jobs it dramatically reduces the time needed to complete the task. 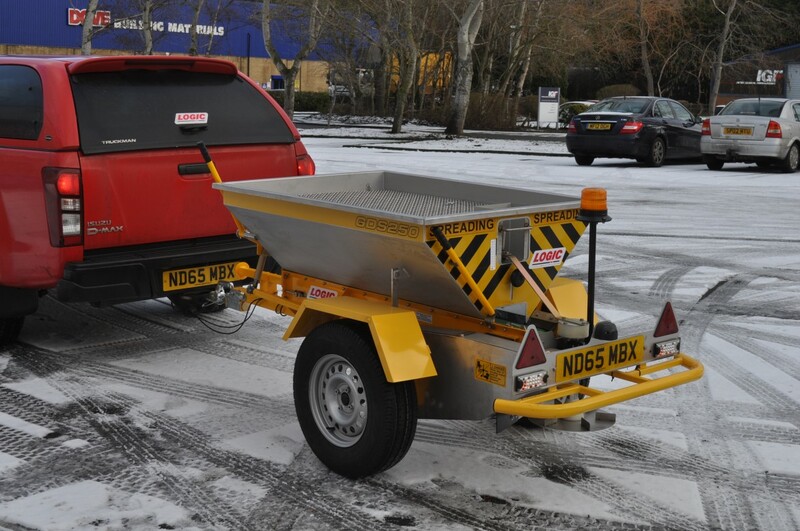 All Logic GDS and PDS professional salt spreaders employ the same unique hopper length ‘moving floor’ and agitator to handle any de-icing products including wet rock salt. They feature a 270-465lt stainless steel hopper, spreading disc and peripheral components for long life, as well as accurate application control and the ability to spread varying widths and to left or right. They have a low filling height and are easy to adjust and operate. GDS working speeds of between 5 -15mph mean you can cover the ground quickly and are suitable for single site operations. For contractor or multi-site use, the PDS range of engine driven models with ‘Highway Use’ type approval (ECWVTA) including full road suspension and over run brakes, is perfect and with 585 litres capacity will cover a significant area with each fill. The logic range also includes models suitable for mounting onto the rear carrying platforms of UTVS, pick-ups and 4x4s or for compact tractors and fork lifts and telehandlers. 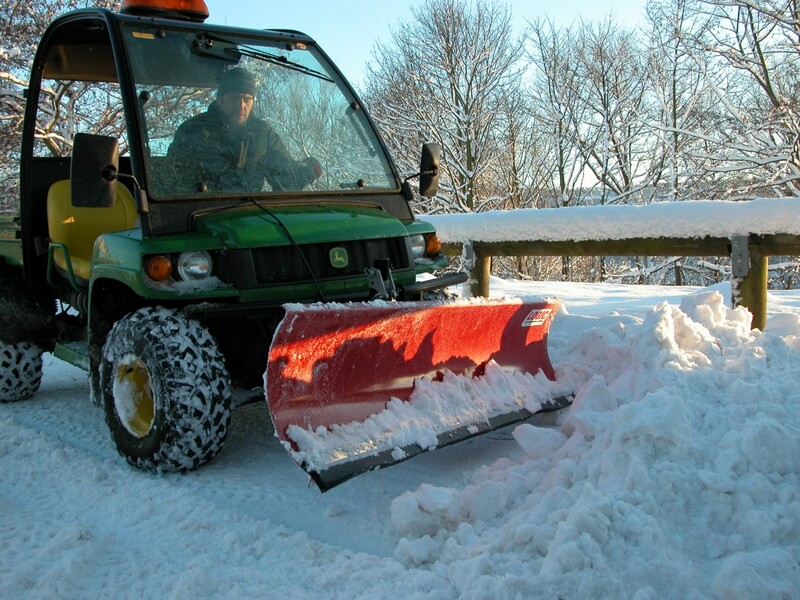 To complement the salt spreader range, Logic Professional snow ploughs are designed to be used with vehicles fitted with a Logic System 20 front mounting system, to produce a very capable snow clearing implement capable of high work rates. A 12v ram provides electric lift for convenient control from the cab of the operating vehicle, with all wiring and control box provided. For more details of the Logic winter maintenance products, go to the Logic website at LogicToday.co.uk or contact the Logic office on 01434 606661.